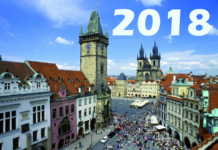 The Czech Republic is known for a solid infrastructure, a highly educated and skilled workforce, and relatively low living costs and wages. 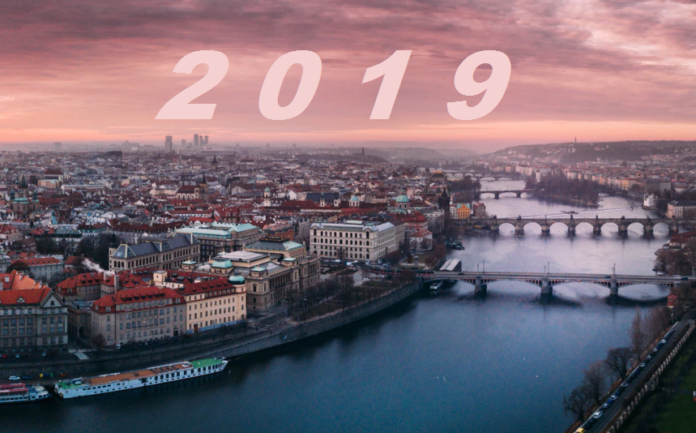 This week, we took a close look at the Czech startup scene and created a list of 10 promising startups to watch in 2019. All of the companies we’re listing below were founded within the past 2-3 years and all of them have a interesting as well as promising business model. Spaceti is one of the first firms to offer an all-in-one indoor location-based building digitisation solution combining a mobile app, sensory devices, and a web-based dashboard. Founded in 2016, Spaceti’s mission is to redefine how people digitally interact with buildings, increase their well-being, and boost collaboration among occupants while simultaneously providing an effective building management tool. Motionlab is a cloud-based video platform which provides customised scenarios, leverage customers historical data and consider their behavior to deliver unique, personalised advertising experience. Founded in 2018 and based in Brno, Motionlab already has an impressive clients list – among them several big corporates in the CEE region. Most recently Motionlab started its US expansion. Yieldigo generates prices that maximise profit and revenue for retail and ecommerce – usually by 5-20%. Yieldigo is an AI price optimisation plugin that uses deep learning and statistical algorithms to model shoppers’ purchasing behaviour. The algorithm uses machine learning, so it continuously reflects actual buying decisions of shoppers. Every time retailers reprice their goods, Yieldigo equips them with optimal prices – on hourly, daily and weekly basis. Finding and booking quality outdoor activities should be as easy as booking a flight ticket or a hotel from any location, at the click of a button. Moreover, at the exact moment when customers plan their active vacation. With OutdoorTrip, which was founded in 2018, everyone can find and choose the right activity that fully suits their physical and mental abilities – from cycling to kayaking or skiing. Mapotic is an intuitive mapping platform that empowers you to share knowledge about the places you know and love. The promising startup was founded in 2017 and is based in Prague. Its mission is to make the world a better, more connected place. With Mapotic you can build communities around maps based on specific themes – from digital detox to veganism, street art, or music festivals. It has been built for you to give back to the community. Virtual reality is finally poised to make its way into the sports world, as the Sense Arena VR hockey training system brings you professional hockey training – without the ice. It offers the authentic look and feel of playing hockey that a player could only get from being on the ice. The technology has been developed with input from hockey coaches and professional players such as Bruin’s Right Winger — David Pastrnak and NHL ex pro-player Jan Ludvig, current Bruins Pro Scout. With Blocknify you can sign your sensitive documents without sacrificing your privacy. It is distributed e-signature solution for sensitive documents based on blockchain. You can collect legally binding e-signatures with two clicks. Blocknify is compliant with all major e-signature laws in the EU and US. The blockchain ensures signatures and document fingerprints can never be altered or deleted, by you or anyone else. Imprompt.Me is a SaaS startup which helps small to medium-sized (100-1,500 attendees) conferences bring their events to another level. Its networking features help to increase the number of 1:1 meetups among attendees. The app takes into consideration attendees’ personal program during the event (sessions they are attending & meetings with other people) and sets new meetings for time & place at the conference which suits everyone perfectly. Its key motto is “Everything begins with a handshake”. Spaceflow, regional winner of the Central Europan Startup Awards, provides a community platform for buildings – amenities, services, and community life in the palm of your hand. Founded in 2016, Spaceflow helps landlords to attract and retain top tenants and raise profits by combining the tenant experience platform and community management. Spaceflow creates a true “space-as-a-service” experience that allows landlords and space operators to customise services and improve tenant satisfaction. With branches in London, New York, Munich and Prague, Spaceflow disrupts the whole experience that people in buildings have globally. Actijoy is a Czech startup that created a digital personal trainer and diet coach for dogs. Their pioneering solution involves an IoT device, which is a health and activity tracker, a WiFi-connected bowl which tracks food and water consumption, and a mobile app that evaluates all the collected information and provides you with advice. At the 2017 edition of the annual EU-Startups event, Actijoy was selected to pitch on stage.